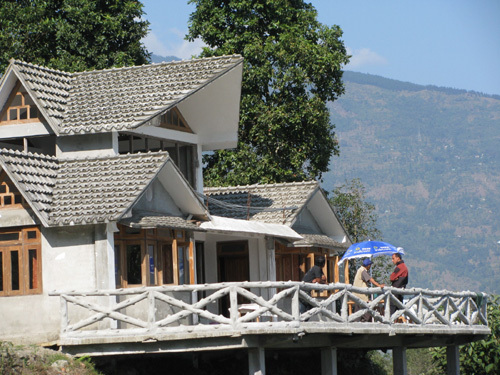 Places to see in Bara Mangwa: The rooms of the farmhouse offers spectacular views of the Sikkim and Kalimpong hills as well as a bird’s eye view of the meandering Teesta River. The farmhouse has its own farms growing seasonal vegetables, fruits and regular crops as well. You can definitely take a trip of these farms or visit their own poultry, dairy as well as the small goat house. A trip to nearby tea gardens should also be on your cards. You can take long nature walks all along the orange orchards or simple gaze at the blue hills all around from the farmhouse’s beautiful verandah. Nearby attractions of Bara Mangwa: There are many places around Bara Mangwa village where guests can visit. Kalimpong is one such place which is located some 21 kilometers from Bara Mangwa. Then there is Lava, which is located some 46 kilometers and is famous for being the entry point to the Neora Valley National Park. Darjeeling, the Queen of the Himalayas is also located close to Bara Mangwa, some 40 kilometers. Other nearby places of attraction includes Chota Mangwa (1 km), Tinchuley Sunrise Point (9 kms), Peshok and Lopchu Tea Garden (15 kms), Tista and Rangit View Point (12 kms), Teesta and Rangit Confluence (8 kms), Mongpoo (20 kms. ), Delo Hill Top (33 kms. ), Loleygaon (68 kms. 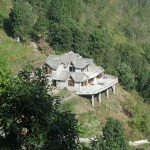 ), Pedong (35 kms) and Gangtok located some 70 kilometers away. Things to do at Bara Mangwa: You have a lot of opportunities for activities at Bara Mangwa. 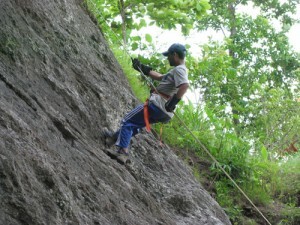 Trekking and rock climbing are abundant and so is river rafting in the waters of Teesta. Fishing is equally enjoying in the waters of Teesta. There is a Yoga and Martial Art Centre where you can learn some martial art techniques as well. The village of Bara Mangwa promotes local sports which are quite exciting activities to take part in. How to reach Bara Mangwa: You first have to get down at New Jalpaiguri Railway station and then take NH-31A straight to Teesta Bazaar. From here you need to take left after crossing the Teesta Bridge to reach Bara Mangwa village. From New Jalpaiguri railway station, you need to hire a car to cover your distance. The nearest airport is Bagdorgra Airport. Best time to visit Bara Mangwa: The best time to visit is during the winter season when the orange garden is full of oranges. But do not forget to seek permission of the owner before plucking them. In fact, winter is the best time to see the best of this beautiful, small village surrounded by hills. Lodging and dining facilities at Bara Mangwa: The Bara Mangwa Farmhouse itself offers basic but clean lodging facilities. 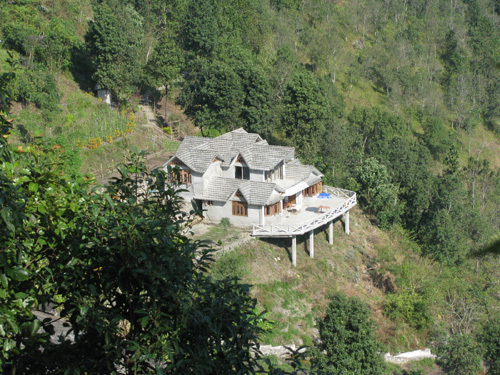 The farmhouse has two rooms, well equipped with modern attached bathroom offering excellent views of the Sikkim and Kalimpong hills as well as views of River Teesta. Facilities like regular cleaning and running water are also available. The farmhouse also has its own poultry and a small goat and pig house. The food served is organic in nature which is prepared from the vegetables grown in their own farms. Dining is offered four times a day and includes Bed Tea, Breakfast, Lunch, Tiffin and Dinner. Photographs by Somnath Khaskel, Mrintyunjoy Ghosh and Sandeepan Dutta. Please drop your enquiry using the form on the Booking pg.